No one wants to carry heavy cots and prams half way across the world. If you do... there is no room to take home souvenirs and presents. Not with most baggage allowance being 20 kgs and when half is taken up with baby equipment you have to ask if there is a better way. Well, there is now! Now you do not have to bring cots and prams or even car seats. Let us take care of it all for you. Hire everything your baby needs before you get to Bali. Our Bali Baby equipment will be delivered to your hotel or villa before you get there and you can enjoy your holiday straight away. We can also arrange to meet you at the airport. Ideal for your vacation in Bali, to tide you over if you are relocating or if you are just visiting relatives or friends. All of our Bali Baby Equipment is thoroughly tested, cleaned and sanitised prior to delivery to ensure the highest levels of safety for you and your child. A Bali Baby representative will contact you by email within seven business day, to confirm availability and make payment arrangements. Delivery and set up arrangements of your Bali Baby Equipment will be made to best suit your travel requirements. You will make these together with your Bali Baby representative. do not forget we also do Nany service ! Just because you might be away from home with your baby doesn't mean you have to neglect home comforts. A Pliko travel cot will ensure your baby still sleeps soundly. This Pliko cot is that little bit longer then your average travel cot for the older child to sleep comfortable. 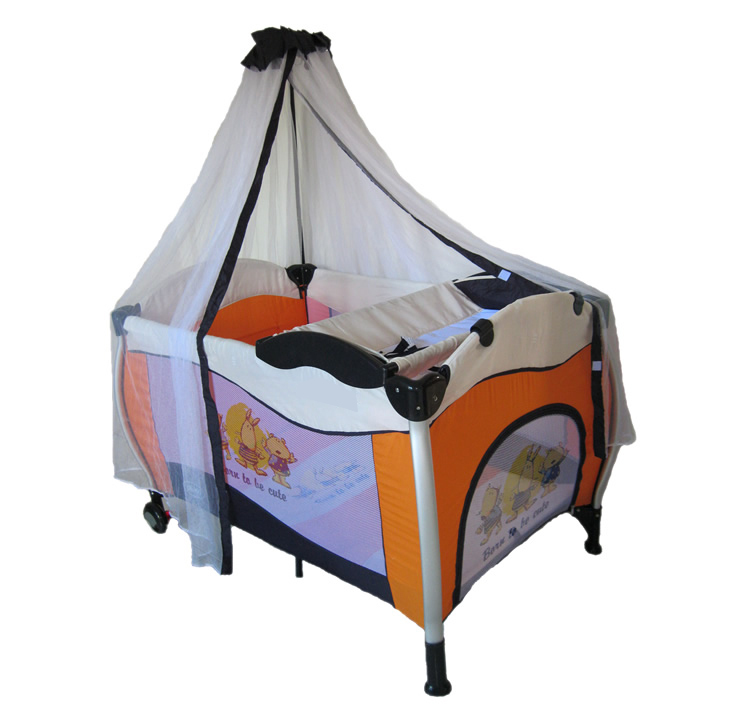 The net canape will assure your baby will not be bothered by mosquitoes or flies. It even has enough space to double up as a play pen!! Two wheels for easy maneuverability.